32 oz. Clear Juice bottles with SILGAN Brand, 38mm Plasti-twist caps. Caps have drop down safety Bands for improved tamper evidence. Sturdy 45 gram bottle weight. Package includes 6 bottles and 6 Caps. 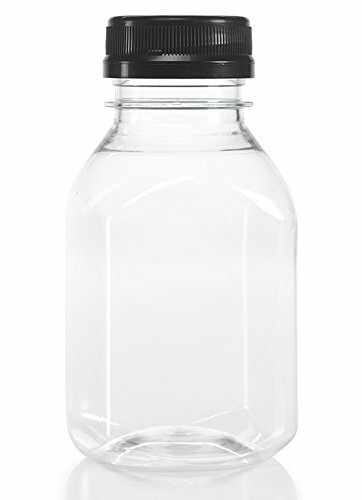 These heavy duty 500mL PYREX round bottles can be used for storage as well as mixing and sampling. They include a linerless, one-piece autoclavable orange polypropylene plug seal GL45 threaded cap with a drip-free pouring ring. 8 oz. Clear Juice bottles with 38mm Plasti-twist caps. Caps have drop down safety Bands for improved tamper evidence. Sturdy 23 gram bottle weight. Package of 12 bottles with lids. 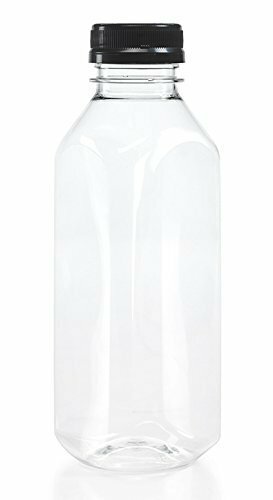 These heavy duty 1000mL PYREX round bottles can be used for storage as well as mixing and sampling. They include a linerless, one-piece autoclavable orange polypropylene plug seal GL45 threaded cap with a drip-free pouring ring. 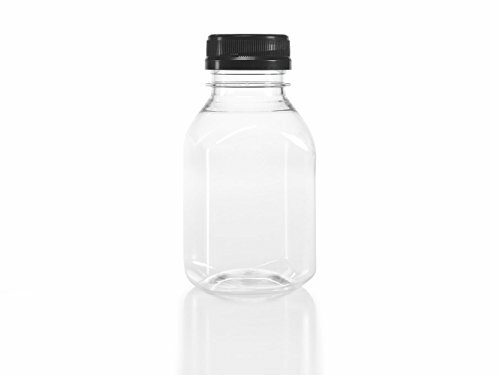 Thick glass media storage bottles are made of genuine borosilicate pyrex glass. 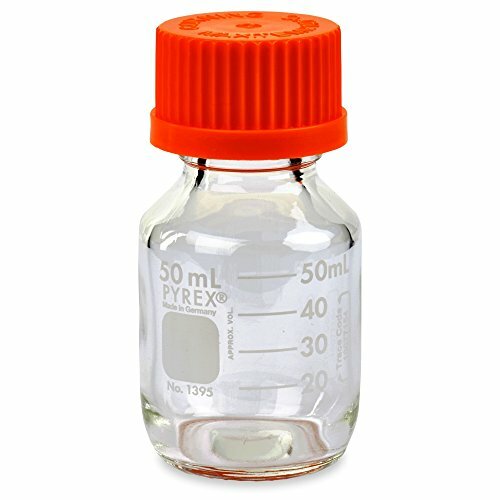 The linerless, one-piece autoclavable blue polypropylene plug seal GL45 threaded cap with a drip-free pouring ring,up to 140 C.
Lab bottles provide easier handling and more efficient storage of media, biologicals, and other aqueous solutions. 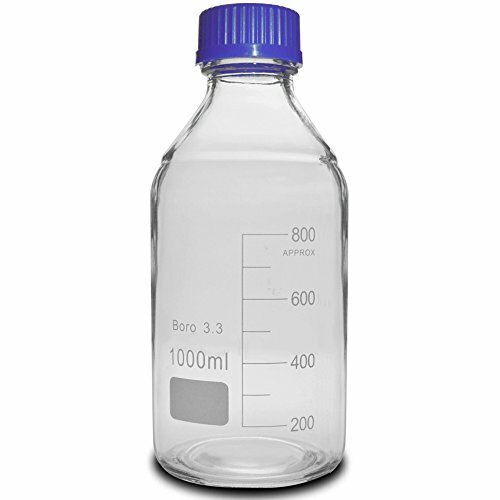 Widely used as lab bottles,jars in laboratory, and home uses. 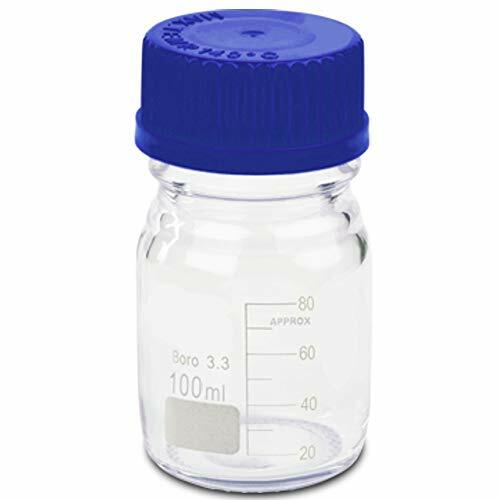 -The linerless, one-piece autoclavable blue polypropylene plug seal GL45 threaded cap with a drip-free pouring ring,up to 120 C.
-Thick glass media storage bottles are made of genuine borosilicate pyrex glass. 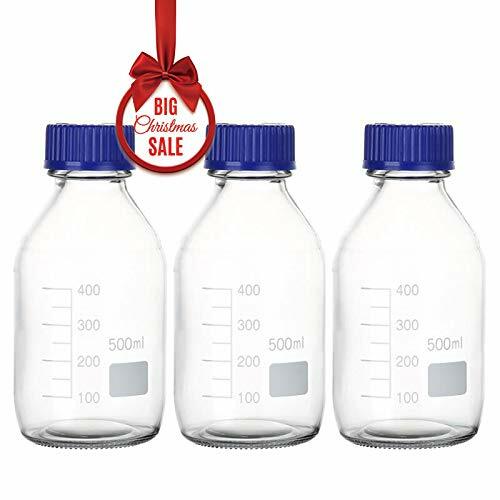 -Lab bottles provide easier handling and more efficient storage of media, biologicals, and other aqueous solutions. 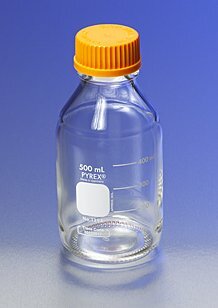 Widely used as lab bottles,jars in laboratory, and home uses. 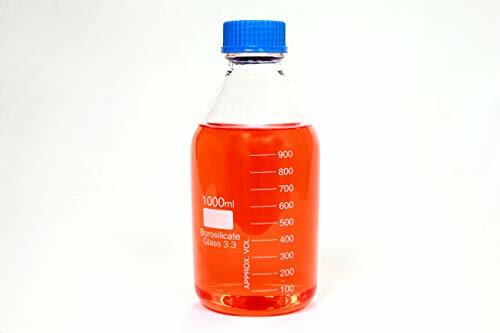 1 Liter Media Bottle with GL45 Screw Cap (Royal Blue) is a Graduated Storage bottle, made of Super Thick Borosilicate Glass, which is so thick that it can handle nearly any Pressure and temperature, from the most harsh chemicals to extreme heating agents. It is stable and durable, perfect for any use, plus its precise Graduation with 100ml Interval, can measure up to 1000ml liquids. It is laboratory grade, but can be used for storing nearly anything. 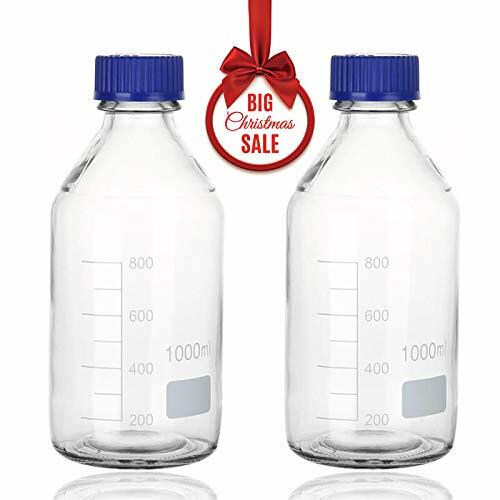 Graduated 1 liter glass bottle with resolution of 100 ml for measurement luxury, which means you can measure so precisely, without a hiccup, Plus these can handle any high pressures and temperatures from the most harsh chemicals to extreme heating agents. Comes with GL45 ring with Screw cap to prevent leaks in any conditions. Threaded Screw neck of this Lab bottle is made such a way, to prevent spilling while pouring. 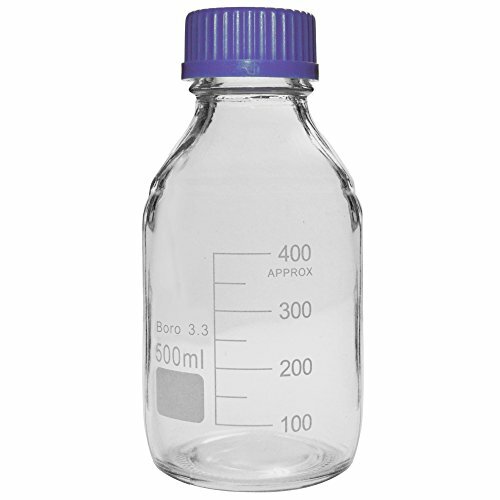 Laboratory grade Attractive Storage Bottle with Royal Blue Cap. Can be used to store anything from kitchen to laboratory! 16 oz. Clear juice bottles with caps. Caps have a drop down safety bands for improved tamper evidence. Sturdy 29 gram bottle weight. Package of 8 bottles with lids. 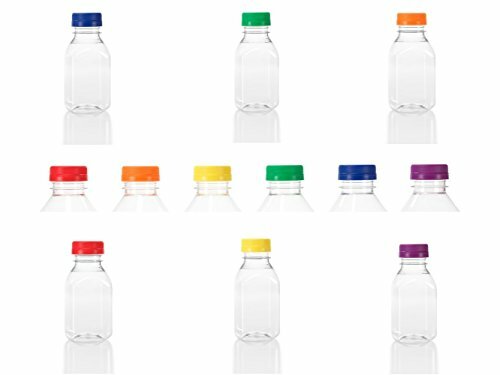 New Pyrex slim line media storage bottles provide easier handling and more efficient storage of media, biologicals, and other aqueous solutions. 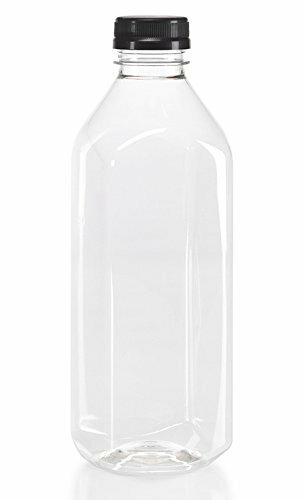 Slim line media bottles feature indented gripping zones along the sides of the bottle to allow easier and safer handling, and a new cap design that permits faster opening and closing. The caps are fully compatible with all standard "GL45" (45mm neck size) Pyrex bottles. Widely-spaced knurls (ridges and grooves) provide comfortable and ergonomic cap handling, and the narrow bottle diameter allows more efficient storage on shelves, refrigerators, or autoclaves. Bottles are graduated to their full working volumes. 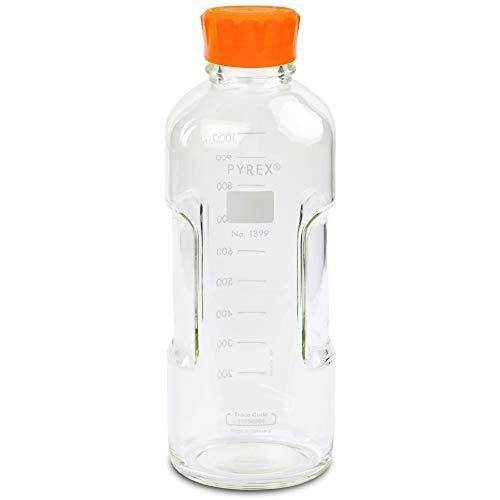 Pyrex slim line bottles are made from the same Type 1 Class a (ASTM e-438) borosilicate glass as standard Pyrex media bottles for chemical and heat resistance. 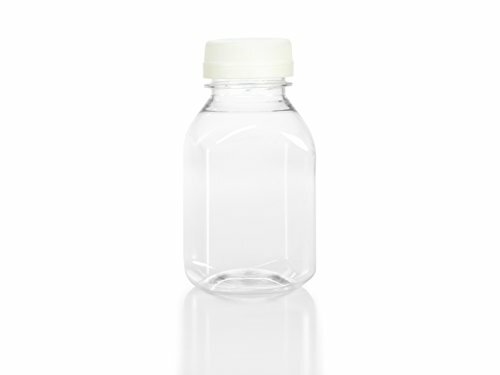 These heavy duty 50mL PYREX round bottles can be used for storage as well as mixing and sampling. They include a linerless, one-piece autoclavable orange polypropylene plug seal GL32 threaded cap and a drip-free pouring ring. Optional red PBT caps and red ETFE pouring rings are available for dry heat sterilization (180 C). 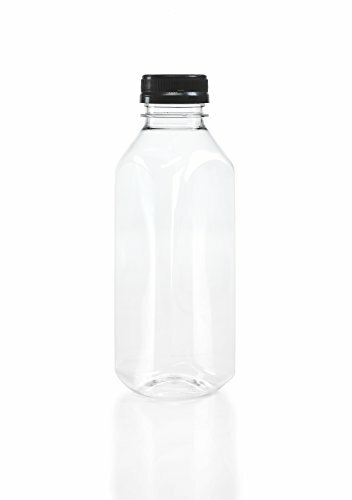 Bottles have permanent white enamel graduations and marking spots. Caution:DO NOT tighten caps immediately after autoclaving as the vacuum resulting from cooling can cause breakage.